So this is my 6x14=? but how I got it is by 6x10=60 6x4=24 then I add all of 24 and 60 then it made 84. 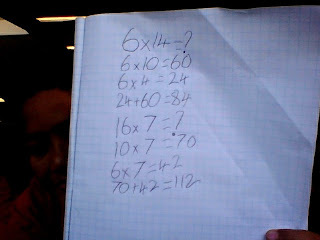 Then my second answer 112 on my second answer and how I got is I done 7x10=70 then 6x7=42 then 42+70=112.